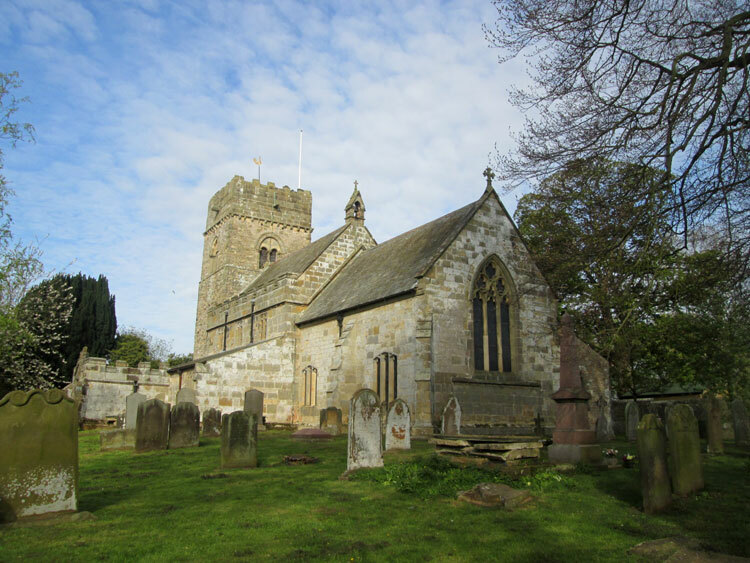 The churchyard of St. Matthew, Hutton Buscel, contains two Commonwealth War Graves, - both from the First World War. Amongst the burials is that of a soldier who had served with the Yorkshire Regiment. 155th Provisional Coy. Royal Defence Corps, formerly 3641 the Yorkshire Regiment. Son of the late John and Jane Raine, of West Ayton; husband of Ethel May Raine, of 7, Lancaster St., Scarborough. Member of Police Force (Scarborough). 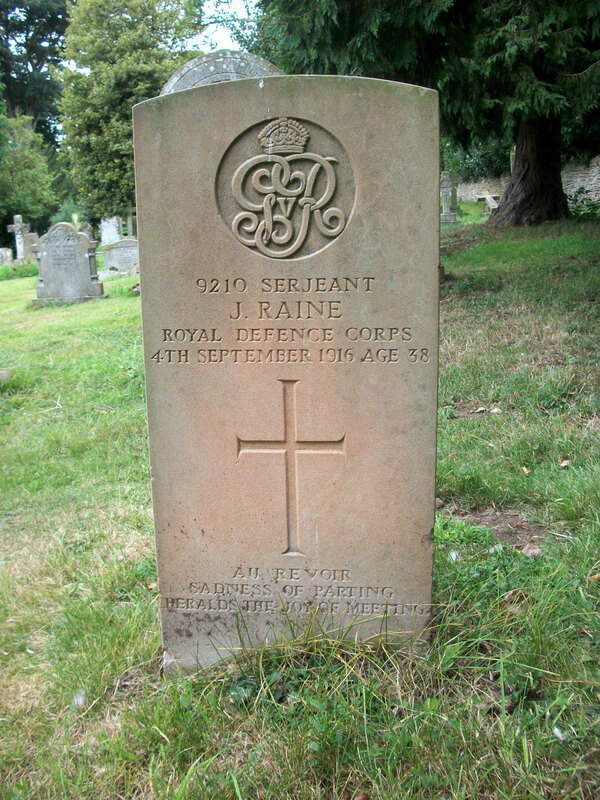 Died at home 4 September 1916. Aged 38. Born West Ayton (Yorks), Enlisted Northallerton, Resided Scarborough. HERALDS THE JOY OF MEETING"
Photo © Copyright John Slater and licensed for reuse under this Creative Commons Licence.